Those who have built their family in a non-traditional way often have one common question: How can I bond with my baby if I’m not the one who carried him or her? Here at American Surrogacy, we understand your concern. Society tells us that there is no connection like that between a pregnant woman and her child — but that doesn’t mean you can’t foster the same kind of connection if someone else was the one to give birth to your baby. While it may take a little extra effort, you can feel just as connected as anyone else who built their family in a “traditional” way. For suggestions on how to forge that connection while your baby is in utero, check out this article. Here, we’ll focus on the steps you can take after you bring your bundle of joy home. All babies need contact, communication and love from their parents after birth. Use these tips to create a meaningful, healthy bond with your baby from the moment they are born. 1. Pay Attention to and Respond to Your Baby’s Needs. This is the first tip for bonding with a baby for a reason — it’s the cornerstone of being a successful parent. You may be overwhelmed with your new bundle of joy, especially if this is your first experience being a parent, but you will learn quickly. You may not correctly anticipate your baby’s every need at first, but the more you pay close attention to them, the better you will get to know them and understand what they want. This mutual understanding will facilitate your bonding. After all, a baby will bond to the person who responds to their cries, which is why some experts advise that only the baby’s parents tend to their needs during the first couple of months, to help them recognize your role in their life. 2. Take Advantage of Feeding Time. Along the same note, feeding time is one of the most important times you can address your baby’s needs. Take steps during mealtime to make eye contact, limit distractions and more to help your baby focus solely on you. Did you know that even intended parents can breastfeed their baby? You can further facilitate this bonding by breastfeeding your child or giving plenty of skin-on-skin contact as you bottle-feed your baby. Talk with your doctor about the possibility of breastfeeding as an intended mother. 3. Don’t Skimp on Affection. Naturally, you’ll be holding your baby a lot when you bring them home — whether to soothe them, feed them, or simply to marvel at this little wonder. All of this contact will comfort your baby, who will feel closer to you just from hearing your heartbeat. Don’t be afraid to lay on other kinds of affection at this time, either. You may be worried about spoiling your baby, but that’s not a concern at this age. You cannot give a newborn too much affection, as it encourages the bonding process and helps them confirm you as a parental role. Skin-on-skin contact is important for any parent bonding with their child but especially important for intended parents in surrogacy. 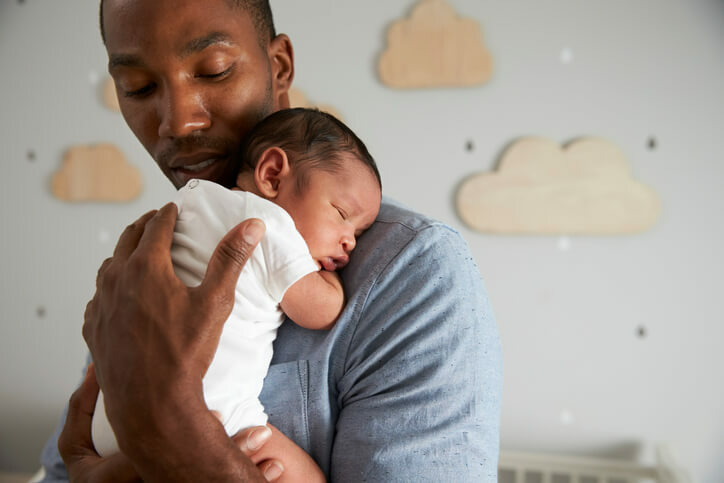 While a baby will need to have skin-on-skin contact with the surrogate directly after birth to confirm his or her senses, the transfer to the intended parents for skin-on-skin contact is crucial to helping the baby recognize his or her parents. Skin-on-skin contact is also helpful for improving physiologic stability for mother and baby, increasing maternal attachment behaviors, protecting against the negative effects of maternal-infant separation, and more. So, the research is clear: Don’t be afraid to share this important contact with your baby directly after birth and after you bring them home. 5. Always Talk to Your Baby. New parents are bound to do this anyway, but the importance of talking to your new baby can’t be overstated. When your baby hears your voice, they are comforted that you are near, and it helps them better recognize your role as their parent. In addition, talking to your baby helps them develop their own language skills. Children learn a lot from listening so, if you want your baby to start talking back early, don’t be afraid to chat them up to help them absorb information and language. Bringing home a new baby can be overwhelming for everyone, but especially for parents through surrogacy who are getting their first experience with their little one. Remember, your surrogacy specialist will always be here to help you prepare for this step and offer advice as you adjust to your new life as parents. To learn more about our agency services, please contact us at 1-800-875-BABY(2229).